Senior International USA Weightlifting Coach, Daniel Camargo brings decades of experience as an athlete as well as a coach to his incisive thoughts about the sport. His athlete Mattie Rogers competes at the 2017 IWF World Weightlifting Championships on Saturday. 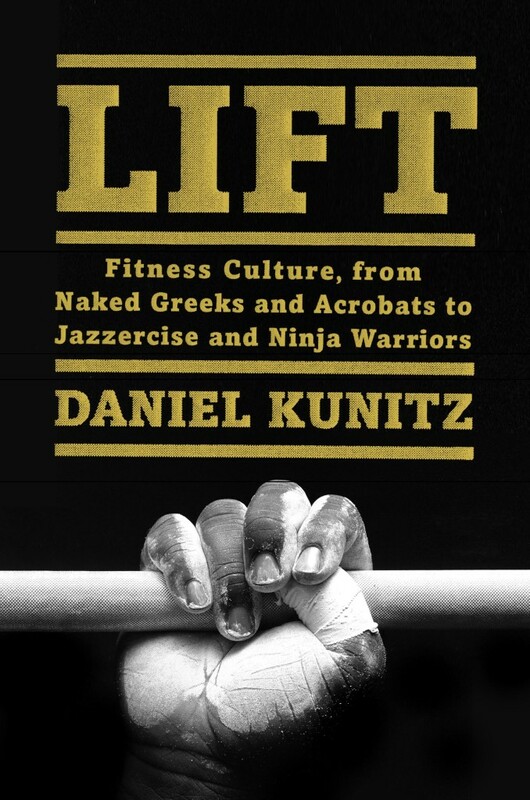 Daniel Kunitz is the author of LIFT: Fitness Culture from Naked Greeks and Amazons to Jazzercise and Ninja Warriors. DK: When did you start to see a change in the popularity of weightlifting? DC: When my phone began ringing for the first time–this was 2012. Ahead of the actual fact that it was growing there was the perception that it was growing. There were a lot of discussions in the community, some formal, some informal. In 2012, I disagreed that the sport was growing: I felt that what was growing was the awareness of the movements, because of CrossFit, that there were more and more practitioners out there. But that hadn’t yet translated to the growth of the sport itself, and I say that because the national competitions still had the same number of participants, the medal winners were the same faces you expected, there was nobody new, records were still being broken at the same rate as before. The movements were getting more popular, and I think CrossFit did an amazing job, unintentionally, of making people aware that these movements exist and that you can use them for fitness. But I ate those words about a year later. By 2014 the data, the stats, began to grow. Now there was an increase in participation at all levels of the sport, and many of the podium winners were not the same faces you expected to see. I remember looking some of the podium winners and thinking, Who the hell is that? Because historically the best national lifters were very well known, they were regulars on the podium, and even when there was someone up and coming, you could kind of predict when they would be dominating. But three or four years ago we were started to see athletes we’d never heard of, most of them coming from CrossFit, show up at their first national events and placing top five. Now you can’t predict the competitiveness of these national events–the numbers are going up every time, every time. And I’ll tell you this, I am happy about that. I lived in the dark ages of this sport. DK: Tell me a little about the dark ages. DC: Were you aware that I was a law enforcement officer? I was a cop for 13 years. I retired from the weightlifting as an athlete, and it was a bit of a bad breakup, emotional—I loved it but I hated it at the same time. But, historically, you get done with competing and you’ve got to go get a real life now. Even if you were blessed enough to earn a spot on the Olympic team, you don’t go off in the sport of weightlifting after your career and do speeches and write books and become a motivational speaker—no one cares, because you were in weightlifting, unlike other sports. So, you go back to civilian life, you’ve got to get a job. Most of the weightlifting coaches that I grew up knowing were teachers, maybe professors, businessmen, firefighters, and the weightlifting, though they would devote much of their time to it, it was always a hobby. I became a police officer, made detective, and that helped me fund my other passion, which was coaching weightlifting. I really, really believed that I would ride out a full cop career, while coaching on the side as a hobby, come up the coaching ranks, retire as a police officer after 25 or 30 years, then in my spare time continue to coach, grow old, and die. And I was happy about that plan, because it was all I could expect. And for thirteen years I juggled both, and it wasn’t a hard juggle because at the time weightlifting was so small. The last couple of years as a cop became a hard juggle, because of CrossFit. Three years ago, I decided to take the leap of faith and leave law enforcement. But I’m happy about this growth. I never thought I’d make a living off the barbell, and now I am. DK: What else has changed on the athlete side? DC: There are so many people in the sport that now my athletes are getting pushed harder, and that puts the pressure on me to provide more and higher quality coaching. There used to be two hundred people at a national event, now there are nine hundred. The American Open Series, which was supposed to be a bit of a relief event—these are national-level qualifiers, not championships—I really thought there would be a couple hundred people at these events and not much of a turnout, but they averaged 400 to 500 athletes at all three of the Open Series competitions this year. I’m having to re-budget my travel for all these things. And I don’t think the bubble has burst just yet–it’s still growing. I think it makes things so competitive that it stimulates me and my athletes. DK: And the U.S. teams are much more competitive internationally. DC: There are two reasons why the U.S. has not been competitive internationally the last several decades. One is doping, which is very common in weightlifting internationally, so it was not an even playing field. The second reason was the athlete pool: we didn’t have a lot to choose from. Now they are getting much stricter about testing for PEDs—and there’s a higher rate of people getting caught, so I think the playing field is more even. This year we have a real possibility of medaling. Mattie could get a gold medal, be a world champion! People had to get banned for that to happen, but that just proves my point. You cannot beat someone on steroids in this game. Maybe in a sport that requires more of an aerobic base, but in this sport dirty beats clean every time. Mattie has been tested eight times in the last twelve months, and I’m happy about that. You cannot be dirty and get away with that with that many tests. And, at the same time, our athlete pool has grown. What has happened as a result? Look at how many youth and junior medals we’ve been winning. The senior level is next. DK: Let’s talk a little about the specifics of the growth of weightlifting. Have you had personal trainers come to you, people from the broader fitness world? DC: Yes. I have a job with USA Weightlifting, I teach the USAW certification courses at the many levels that they have. The majority of my students over the years have all been people who wanted to be weightlifting coaches. In the last four or five years, more and more students began to come from the CrossFit world, now and now more and more are from the strength and conditioning world, the sports performance guys and gals. As of late, since 2016, I am increasingly seeing personal trainers attend these certification courses. That tells you their clientele are beginning to ask about weightlifting. And that’s just the courses. Personally and through my gym, I’m getting contacted by trainers and college students going to school for bachelor’s degrees in exercise science, to become strength coaches somewhere down the line, they are now knocking on my door more and more. DK: Are parents who are weightlifters or do CrossFit pushing growth among kids? DC: They are. In my opinion, the reason why we’re seeing more interest from kids isn’t just from CrossFit or the fact that overall there’s more interest in weightlifting, it’s coming directly from the parents themselves who have become interested and are sharing it with their children. Traditionally the community has always used the tactic of targeting the young, and so early in my career, I found myself doing what was expected of me, going to schools to recruit, doing little exhibitions or one-hour shows through PE classes, always keeping my eye out for younger talent. That’s not necessary anymore. Now I can target 35 year olds, 30 year olds, because if they become interested, they’re not only the professionals who have money to put back into the sport, but they have children who are growing. If the parents love it, they might share it with their children, and then the growth becomes exponential. Unfortunately, there is still a fear that weightlifting is dangerous. Weightlifting is not dangerous, poor coaching is dangerous. I still have parents who are very concerned because the pediatrician said don’t do it, it’s going to stunt your kid’s growth. I don’t believe weightlifting has a higher risk of injury than other sports. Old timers commonly say that America’s best athletes are going into other sports, like football and basketball. Now, however, there are so many wonderful weightlifting performances coming out of what seems like nowhere, the bar is being raised. I believe we are no longer losing our best athletes to more popular sports, we’re able to retain some of this talent and bring these athletes into the sport of weightlifting. DK: Can you talk about how social media has helped grow the sport? DC: It’s hard to find glory in football when you’re riding the bench, but on Instagram, on social media, there are no starters in weightlifting. Everyone competes. And athlete growth is well documented on social media. I think, too, that it has become much easier for some athletes because weightlifting does have a cooler profile than it once did. DK: I imagine that one way it’s easier is that there now a lot more opportunities for top-level lifters to make money, get sponsorships. DC: Yes. I assume you follow Mattie Rogers. DC: I was an athlete in weightlifting from 1990 through 1998, and I retired at age 21. To get a paycheck then, you had to break records, and that means you couldn’t rely on it consistently, unless you were the top dog. You would see athletes who would break a record and then, knowing they could break it again, intentionally hold back, so as to get more money by breaking it in another competition. Today, if you rank within a certain range, you apply for a stipend from USAW and get monthly paychecks. Mattie is one of them. Most of the American athletes get one–it ranges from a couple hundred dollars to almost 2,000 a month. DK: And I imagine there are a lot more sponsorship opportunities, especially if you have a large social media following. DC: Guaranteed. When Mattie first started I acted as her agent, getting her some free protein powder or whatever. But I didn’t see it coming, she got so many offers—it got out of hand. I encouraged her to get an agent, which she did. So, yes, it is possible for a weightlifter now to make a living doing what they love.